With the ongoing conflict in Syria displacing people by the thousands, unrest in Darfur concentrating people in need toward UN mission bases and the inability to find a ceasefire agreement in Yemen, innocent civilians in conflict zones have been forced into desperate conditions while awaiting humanitarian aid. But who needs it most and how does the aid get there amid dangerous war zones? Displaced civilians in Sudan’s Darfur region have seen the sharper end of conflict for well over a decade, but worsening tension between the government and the Sudan Liberation Army has forced an estimated 35,000 newly displaced persons to flee the Jebel Marra area and join the already 38,000 refugees since mid-January. In search of safety, they have gathered in Sortony where the African Union and UN Mission in Darfur have established their base of operations. The nearby refugee camp in Tawilla has also received 18,000 new civilians since mid-January, with resources stretched to their limit. 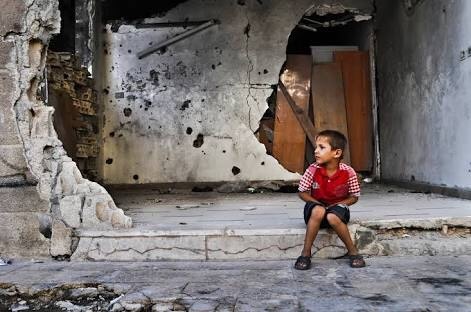 Syria’s civil war has been named the worst humanitarian crisis of our time with more than 11 million people killed or displaced; that is half of the population before the war. Half. Whether they remain internally displaced or have managed to cross borders, their ordeal is not over as many face the perilous journey toward Europe, or any safe haven, really. The recent intensification of air strikes around the city of Aleppo has blocked the main humanitarian aid route, meaning that for Syrians who have not chosen to escape, the situation will only get worse. Meanwhile in Yemen, the humanitarian catastrophe that continues to develop has left 21 million civilians (over 80% of the population) in need of some kind of aid. Around 7.6 million are facing severe food insecurity while 3.4 million children have been forced out of school due to the danger of air strikes. The conflict that began in March 2015 has forced prices for food and fuel to increase due to limited availability. Most Yemeni’s have no idea where their next meal will come from, or whether they will encounter safe drinking water, or be able to attain medical attention. Half a million pregnant women have limited access to treatment and over 2.2 million children face malnutrition. Providing sufficient humanitarian relief can be a slow process as the UN aid agencies coordinate with local authorities to establish numbers and what is needed. Water, shelter, medical supplies and food along with medical attention from qualified professionals are all necessary, but choosing where to send humanitarian assistance is only part of the problem as ongoing conflict makes it even harder for the aid to arrive. These problems are further exacerbated for rural areas that may have already been inaccessible and are now harder to reach by war zones.